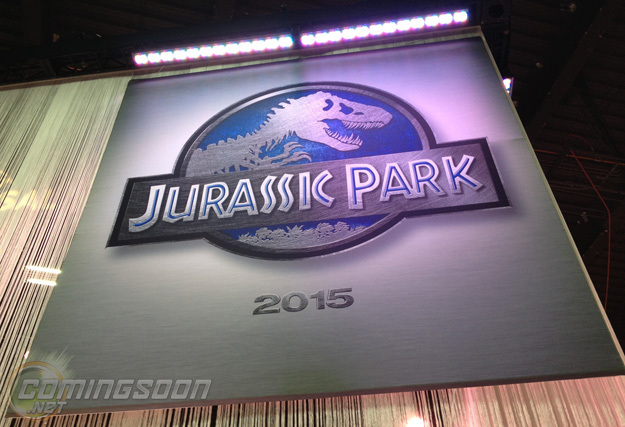 A few days ago we reported that director Colin Trevorrow's Jurassic Park 4 is now set to be released in 2015. That release date was confirmed on a new banner for the film that was revealed at the Licensing Expo 2013 in Las Vegas. It was also confirmed that the movie would shoot in 3D. The movie was originally supposed be released June 13th, 2014, but Universal Pictures ended up stalling the project for some reason. There's still no information on the plot of the story, but apparently they will be returning to the original theme park island known as Isla NUBLAR (thanks Reddit). It will also supposedly feature a new, terrifying species of Dinosaur, which you can read about here. JURASSIC PARK 3D Re-Release Poster!